Next Players to 3,000 Hits After Ichiro? The 3,000-hit-club is one of the most exclusive groups in all of baseball. Of the over 18,000 players to play in the majors, only 29 players have been able to amass 3,000 or more base knocks for their career. However, that list is destined to add another player within the next handful of games. Ichiro Suzuki, who has been one of the most consistent players in baseball history, is currently sitting just four hits shy of the milestone mark. With the 3,000 hit achievement all but guaranteeing a player a spot in the Hall of Fame (with the exception of Pete Rose and Rafael Palmeiro), it’s certainly historic to continue to watch Ichiro, who is showing no signs of slowing down; hitting .341 on the season, which is on pace for his best average since the 2009 season — all at 42 years of age. With all of that in mind, I thought I’d take a look at the active players beyond Ichiro within 1,000 hits of 3,000 who stand the best shots at joining him with 3,000 hits for their career when all is said and done. Assuming that Adrian Beltre can stay healthy, the recent 2-year contract extension he signed with the Rangers all but ensures that he will be the next to 3,000 hits. Currently with 2,860 hits, Beltre has recorded over 140 hits each of the past six seasons, so he should easily reach the mark sometime in the middle of next season. While some people don’t see Beltre as a player worthy of Cooperstown, perhaps reaching the mark will change their minds. The next player who is likely going to reach the milestone is Albert Pujols. Having notched 2,756 hits in his career to this point, the future Hall of Famer still has five years remaining on his contract, in which he has stated he has every intention of completing. Although he’s had struggles at times this year, Pujols has been consistent enough to reach the 3,000 hit plateau around the 2018 season. Miguel Cabrera is the final player on my list of those who sit next in line to get to 3,000 hits. He’s still 560 hits shy of getting there, but at just 33 years old, Cabrera stands a great chance at getting to 3,000. He’s only recorded 200 or more hits in one of his thirteen career seasons, back in 2012 when he won the Triple Crown, but Cabrera is one of the best hitters the game has ever seen, and should bump the 3,000 hit club up to 33 members in late 2019 or early 2020. There are a number of other active players who are well in line to get to 3,000 hits for their career, but with them all sitting over a thousand hits or more back, I chose not include them in this post. Even so, the game of baseball has seemingly never had more talent and superstar players. The 3,000 hit club should continue to steadily grow in the coming decades. Although it won’t officially count in the record books, Ichiro Suzuki is on the verge of surpassing the all-time hit record of 4,256 professional hits, set by Pete Rose over the course of his would-be Hall of Fame career. Sitting on 4,255 combined pro hits between Major League Baseball and Japan’s equivalent level Nippon Baseball League, Ichiro is just two hits shy of having the most hits in professional baseball history. However, as previously stated, it won’t go down as the official record for hits in Major League Baseball history, as 1,278 of Ichiro’s career hits came over in Japan and therefore don’t count towards his career numbers here in America. But regardless, it’s still an amazing accomplishment. Ichiro first broke into the majors back in 2001 at age 27. That year with the Mariners, Ichiro recorded one of the best first seasons in MLB history. With 242 hits, a .350 average and 56 stolen bases, Ichiro walked away with the MVP and Rookie of the Year awards, along with a Silver Slugger, Gold Glove and an All-Star appearance. Quite the haul for a player in their very first year. Going on to have nine consecutive superstar level seasons following 2001, including nine more Gold Gloves, nine subsequent seasons of 200+ hits (including the single-season record of 262 back in 2004) and nine more All-Star games, Ichiro hasn’t been on the same level since his last star season in 2010. But that doesn’t matter. He’s still an all-time great and a sure first-ballot Hall of Famer. His approaching milestone of 3,000 career MLB hits is further evidence of that. Although Ichiro has slacked off a bit in his seasonal numbers since leaving the Mariners in 2012, he is still fun to watch, and can still hit with the best of them. Now just 23 hits away from becoming the 30th player to reach the 3,000 hit mark, the 42-year-old Ichiro is certainly still an MLB-level talent. Even though he won’t go down in history as the all-time hits king — Pete Rose would seem to be happy about that — Ichiro will definitely go down as the best all-around player to ever come out of Japan, and one of the best in the entire history of Major League Baseball. Hit-record or not, Ichiro is still in a class all his own. Each and every season, there are always players with something to prove. Whether they’re looking to show that they can play at a competitive level that they’ve never lived up to; looking to show that they can be the dominant player they once were; or simply are looking for a good year for their team to have a good year — there are numerous players that you could categorize as having very important seasons coming up. For the majority of his career, Justin Verlander has been an unbelievable pitcher. But for the 2011, 2012 seasons, he was on an entirely different planet. Going 41-13 with a 2.52 ERA over those years, and racking up a Cy Young award and MVP for his efforts in 2011, Verlander was arguably the best pitcher in baseball. Lately, however, he hasn’t been the same player. Since 2013, Verlander has posted a combined 3.99 ERA over the course of 66 starts. Given, some of that may have been due to some injuries — injuries that Verlander claims are completely healed now. Now that Max Scherzer is gone, if the Tigers stand any shot at making the World Series like they play for every year, they need a dominant Justin Verlander each and every start throughout the coming regular season. Injuries have not been kind to Ryan Howard over the past three years or so. The once feared slugger, with MVP caliber numbers year after year after year, hasn’t put up very much production for the Phillies in quite awhile. After hitting 58 home runs in 2006, and putting up 45+ home runs and 136+ RBI’s in the three years following that historic season, Howard has failed to hit more than 23 home runs in a season since. 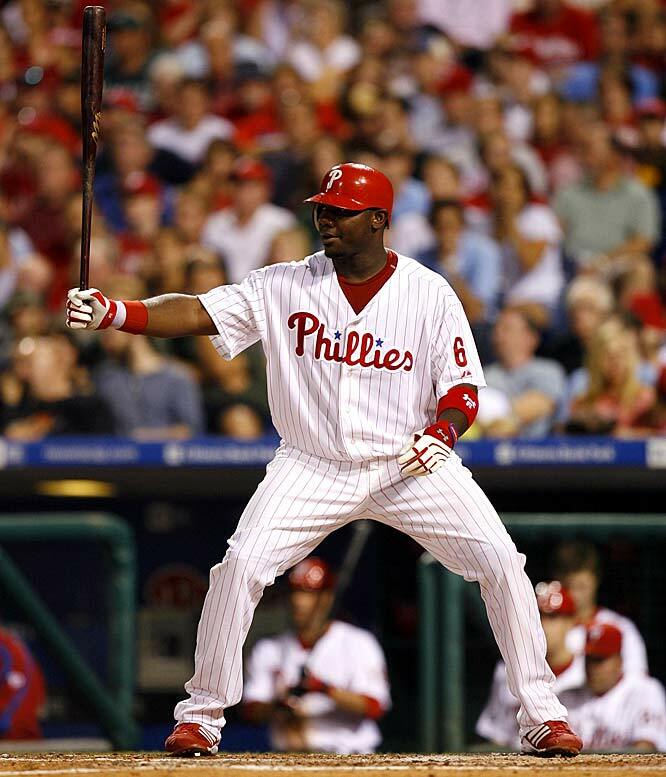 Battling aforementioned injuries, Howard played in less than half the Phillies games in 2012 and 2013, but had a decent season last year, with 23 homers and 95 RBI’s over 153 games played. But those numbers aren’t good enough for the Phillies or their historically verbal fans. If he wants to regain both his stardom and the support of the fans, Ryan Howard needs a healthy, productive 2015. Unlike the previous two players on my list, Jackie Bradley Jr. doesn’t make the top ten for me because he has fallen from previously good seasons. Bradley still has something to prove — both to the Red Sox and their fans. Once one of the top prospects in all of baseball, Bradley’s Gold Glove caliber defense has been shown off at the big league level, however, his ability to hit hasn’t yet arrived. It needs to do so in 2015. With so much outfield depth for the Red Sox — including Mookie Betts and Rusney Castillo — it may already be too far gone for Bradley to make his all around game appear for the Red Sox. However, if he does in fact get the chance this season, he needs to show the Red Sox that he isn’t just a good outfielder but an all around good baseball player. As with Jackie Bradley Jr., the 2015 season is a crucial one for Bryce Harper. While Harper hasn’t underperformed, he hasn’t lived up the unbelievable hype either. Cranking out just 13 home runs last season, all while battling injuries, Harper needs to have a healthy, breakout year this season. If Harper can stay healthy, and can fully tap into his power, he truly has 40 home run potential. And remember, despite the fact that he’s been in the big leagues for three seasons, Harper is still just 22 years old. There’s still plenty of time for him to develop into the superstar player he was coined when he was drafted first overall in 2010. If the Nationals can perform well as a whole, along with their pitching staff staying healthy, and with Bryce Harper thrown into the mix, the World Series is theirs to lose. What can I say? Alex Rodriguez could hit 80 home runs this season and people still wouldn’t like him. But while Rodriguez can’t win back the majority of the fans around baseball, he still needs to have a good season, for his sake at least. Coming back from a 162-game suspension in 2014 for further performance enhancing drug use, A-Rod is heading into the season having not produced for the Yankees since 2010, when his streak of thirteen straight seasons with 30+ homers and 100+ RBI’s ended. No one expects him to return to that form this year, but the Yankees need him — even if they don’t want him. Their team is still a big question mark, with all the talent in the world but no guarantee things will go as planned. Alex Rodriguez needs to perform for the Yankees season to have a shot at a great one. Curtis Granderson has never been a superstar player, but he has been a consistent outfielder over the course of his eleven year career. For six straight seasons (2007-2012), Granderson was able to post upwards of 20 home runs a season, with 2011 and 2012 being his best years by far, with 40+ homers and 100+ RBI’s. Since then, however, Granderson hasn’t been the same. While he hit 20 home runs last season for the Mets, he only batted .227. Though he’s never been a guy that hits for a high average — an all or nothing type hitter — Granderson still needs to hone things in a bit in the coming season. The Mets are getting Matt Harvey back, and if Curtis Granderson can produce along with the rest of the team, the Mets could end up shocking some people. Formerly known as B.J. Upton, Melvin Upton Jr. definitely needs to have a good season. After losing Jason Heyward, Evan Gattis, and Melvin’s brother, Justin Upton, in trades this offseason, the Braves are widely regarded as a much weaker team than they have been recently. While they could still be a playoff team, it will take production from every single player — and that includes Upton Jr. Since leaving the Rays following a 28 homer, 78 RBI 2012 season, Upton Jr. hasn’t been the same, batting a combined .198 over the past two years. He needs to step up his game and bring his totals back to the former standout player he used to be. However, with reports that Melvin Upton Jr. will miss the first month or so with a foot injury, things aren’t starting off too well for his 2015. Tim Lincecum has picked up two World Series rings over the past three years (he has three rings overall), but he did little in those two seasons to produce for the Giants. After back-to-back Cy Young awards in 2008 and 2009, when Lincecum went a combined 33-12 with a 2.55 ERA, Lincecum hasn’t been anywhere close to that level over the past few seasons. Since 2012, Lincecum is a combined 32-38, with a staggering 4.76 ERA. Those are certainly subpar numbers for ‘The Freak’. For a guy who has gone from a dominant starter to a part time reliever, it truly is unfathomable what has gone wrong with Lincecum and his performance. 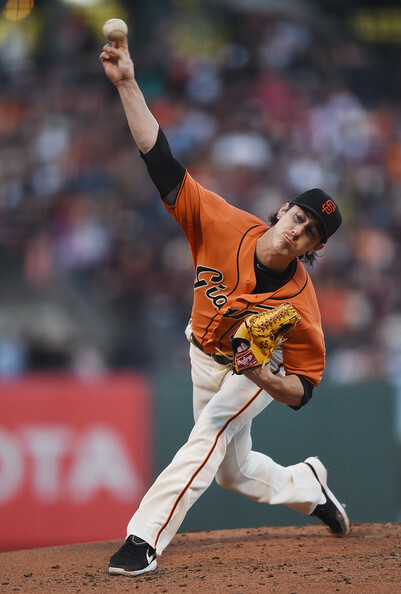 With so much uncertainty, this is a make or break season in my mind for Tim Lincecum. I’ll certainly be rooting for him. The only rookie on my list, and the second youngest player (Bryce Harper is six months younger than Pederson), Joc Pederson is the player that you don’t really know what to expect, but needs to have a good year anyway. It’s a lot of pressure on Pederson, but with the Dodgers trading away Matt Kemp to the Padres this offseason, they’ve now cleared the spot for phenom prospect Pederson to take over moving forward. After having the first 30 homer, 30 stolen base season in the Pacific Coast League since 1934, Pederson made his major league debut in 2014, but didn’t really live up to the hype, batting just .143 and striking out 11 times in 28 at-bats (admittedly, a small sample size). Even so, there are a lot of people who still believe Joc Pederson will be able to fill Matt Kemp’s shoes. This is an interesting case. Ichiro Suzuki could quit right now and have Hall of Fame worthy numbers. But with him stating that he wants to continue playing for several more years, and not getting a lot of offers this past offseason, he needs to play well. Unlike last year with the Yankees, he should see more playing time with the Marlins in 2015, which should allow his always consistent numbers to be there. But with the Marlins only willing to offer him a one-year contract, he needs to prove that he is worth taking a chance on in the future. Sitting just 156 hits shy of 3,000 for his major league baseball career, Ichiro may not get there in 2015. So if he wants to reach the amazing milestone, it’ll take at least one more season, which will likely come from a good season this year. *Originally, I had Josh Hamilton on this list, but in light of his current off the field battle, I decided to replace him with Curtis Granderson. I certainly wish Josh Hamilton the best. Yankees Setting Up for Contention In 2015? As everyone is aware, the New York Yankees failed to make the playoffs in Derek Jeter’s farewell 2014 season, which was very disappointing to a great number of people. One of the few times in their storied franchise history that the Yankees went consecutive seasons without making the playoffs, things are currently in somewhat of a lull for the Bronx Bombers. Now that Jeter is officially retired, and with the loss of their 2014 closer, David Robertson, to the White Sox via free agency, many are beginning to wonder just how much of a competitive team the Yankees will be in 2015. After finishing twelve games back of first in the American League East last season, they have a lot of ground to make up, but a division title isn’t seemingly as far out of reach as it would appear. Some of the Yankees offseason pickups last year failed to produce in 2014, due to either injury or a down statistical season. 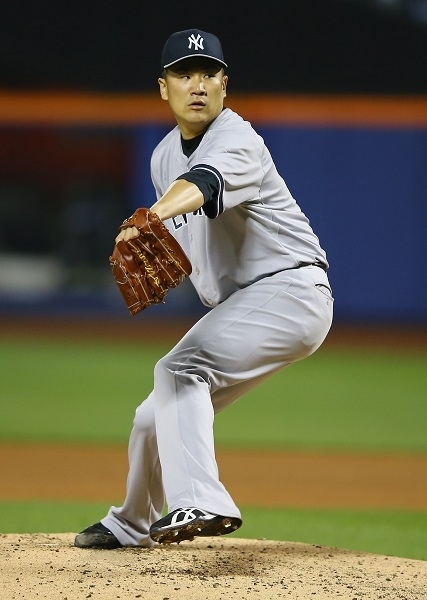 From Masahiro Tanaka to Jacoby Ellsbury to Carlos Beltran to Brian McCann — if those players can get back to their normal selves next season, combined with the already good bullpen of Dellin Betances and recently signed Andrew Miller, things should be better in 2015 for the Yankees. But that’s without any changes whatsoever. The Yankees, however, have in fact made a few tweaks to their roster that could have a big impact on their season success throughout the 162 game stretch. Beginning with a trade that saw promising young shortstop Didi Gregorius coming to New York to take over the vacant spot left by Jeter, the Yankees would appear to have a long term “replacement” for the long time Captain. Though Gregorius won’t be able fill the enormous legacy of Derek Jeter — no one could ever do that — he will give them a little added thump in their lineup and defense at the position. 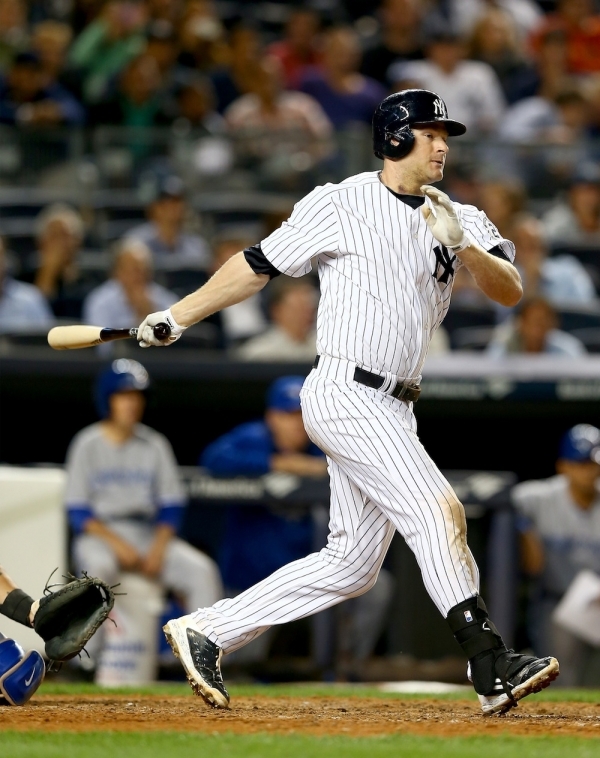 Another such player being Chase Headley, who the Yankees signed to a 4-year, 52 million dollar contract on Monday. There’s a slight issue in the signing that everyone is pointing out, however: Headley plays third base. With the Yankees still owing third baseman Alex Rodriguez — who was out all last season due to a PED suspension — over 20 million a season for the next few years, it would be hard to envision them filling A-Rod’s place at the hot corner with a bargain priced third baseman. But it appears that the Yankees are doing just that. Although the Yankees could move Headley around from time to time as the season progresses, it lines up that A-Rod is headed for merely a designated hitter role in 2015. After hitting 31 home runs to go along with 115 RBI’s back in 2012, Headley hasn’t been that MPV-type of player since, but really impressed the Yankees after coming over from the Padres last season, hitting .262 in the 58 games with them to finish out the year. If Headley can be solid at third base, and if Rodriguez can provide any sort of offensive production at the plate, the Yankees should be in good shape next year. But, where exactly would they fall if the season began tomorrow? For me, I see them being like they were last season — a team that could potentially win a lot of games, but has to have a lot of things go right for them to post those type of collective numbers they’re capable of. As stated earlier, if the Yankees can get full, healthy seasons out of Masahiro Tanaka, Brian McCann, etc., their overall production will increase naturally. Another team in the division that should see their production increase due to several key moves is the Blue Jays. Signing veteran catcher Russell Martin, and trading for All-Star third baseman Josh Donaldson, the Blue Jays could be a very competitive team in 2015. Though I feel they still need another year or two to put everything together, you never know for sure how a team will fare. Even so, I feel the Red Sox are the team that has done more than enough to put themselves in line to win the American League East division. Signing Pablo Sandoval and Hanley Ramirez a few weeks ago, and adding much needed starting pitching in Justin Masterson, Rick Porcello and Wade Miley, Boston has put together a very solid team after their disastrous 2014 season. So, with such a packed division, seeing that every one of the teams in the east could potentially make big runs towards the division title, it should be fun to see how things play out. If I had to predict things right now, though, I feel confident in saying that the Yankees are setting themselves up to break their postseason drought in the coming year. It’s hard to believe, but the 2014 Major League Baseball regular season is almost over. Today marks exactly one month until the final games of the season, on September 28th, and teams are making their final push towards the postseason, with every player doing their best to finish out the season strong. With all of this going on, I thought I’d post an entry on the five main storylines I plan to watch throughout the final stretch. 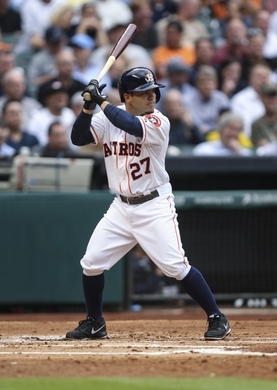 Leading all of baseball in batting average (.332) and with 14 more hits on the season than the player with the second most hits, Jose Altuve is well on his way to recording his first 200 hit season of his career. With 181 hits this year, Altuve should easily make it to what has become a somewhat rare achievement. The last time any player recorded 200 or more hits in a season was back in 2009, when Derek Jeter, Ichiro Suzuki, Ryan Braun and Robinson Cano all did it. For Altuve, he’s set to become only the second Astros player to ever record 200 hits in a season, with Craig Biggio, doing so in 1998, being the other. Though Altuve is too far back to break Ichiro Suzuki’s all-time hit record for a season of 262 hits, it should be interesting to see how many hits he can amass in this final month. After Billy Hamilton set the all-time single season stolen base record for the minor leagues back in 2012, stealing 155 bases that year, many people began to proclaim Hamilton as the next Rickey Henderson. Those are some lofty expectations that Hamilton hasn’t quite been able to live up to, with Hamilton sitting on 50 stolen bases (the youngest Reds player to ever reach 50 stolen bases in a season) for the season and Rickey Henderson having stolen 100 bags in his first full year. Hamilton currently sits eight stolen bases back of the leader, Dee Gordon, so he definitely has some work to do if he wants to finish out the year on top. But despite not running away in the stolen bases category like many people initially believed he would, Hamilton has done a phenomenal job of making adjustments this year. After a horrid start to the season, Hamilton has really turned things around, and if he can continue to get on base, he has the potential to rack up a ton of stolen bases in a short period of time. Proving to have been one of the most valuable offseason pickups, Jose Abreu is posting one of the best rookie seasons we’ve seen in years. 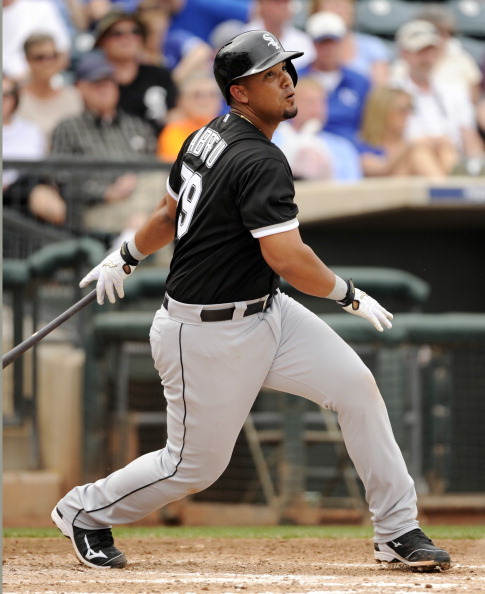 Currently sitting on 33 home runs (he has a good shot at winning the home run crown, tied with Chris Carter and Giancarlo Stanton, and one back of only Nelson Cruz), 96 RBI’s and a .312 batting average, Abreu has done nothing but produce all season long, leading many to believe that he has the American League Rookie of the Year award completely locked up. At one point in time, there was a good chance that Abreu would break the all-time home run record for a rookie, set by Mark McGwire back in 1987, when he blasted 49 home runs. But Abreu will inevitably come up just short of that mark, due in part to a brief stint on the disabled list earlier in the year. Even so, Abeu will likely wind up with around 40 home runs for the season, and will be a major asset for the White Sox for years to come. It can’t much tighter than it currently is in the American League West, as the Angels lead the Athletics by a mere game in the standings. With just a few more weeks of games, this is undoubtedly the division to watch most closely throughout the rest of the season. However, the wild card spots are looking to be just as intriguing, in both leagues. On the American League side of things, whichever team doesn’t win the AL west between the Angels and A’s will end up taking the first wild card spot, but the Mariners, Tigers and even the Yankees are going to be fighting hard for that second wild card spot. In the National League, the Cardinals hold a slight lead for the first wild card, but the second one is anyone’s for the taking between the Giants, Braves, Pirates and Marlins, if they can keep pace through the month of September. It should be interesting to see which teams get the job done. After having a disastrous 2013 season, in which he was injured and posted measly stats, Derek Jeter announced at the beginning of the year that 2014 would be his last. 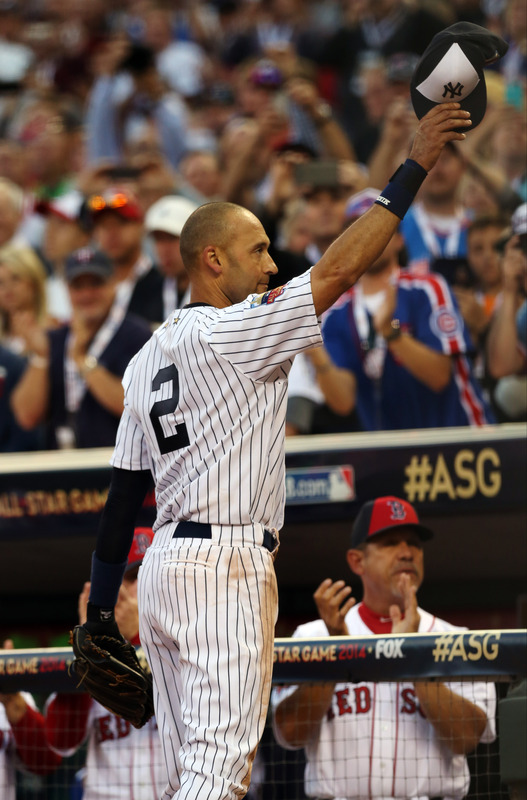 Therefore, all eyes are on Jeter to see how he performs in the final month of his farewell season. So far, Jeter isn’t doing terrible, but he’s not doing all that great either, batting just .267 with 3 home runs and 36 RBI’s. But although Jeter isn’t producing all that much, he will still go down as one of baseball’s all-time greats, with over 3,400 career hits. The one thing on everyone’s mind, however, is whether or not the Yankees can make the playoffs to give Jeter the chance at a sixth career World Series title. Sitting 2.5 games back of the second wild card, there’s still a shot that the Yankees make it in, but it’s going to take a good amount of terrific play for them to reach the postseason.